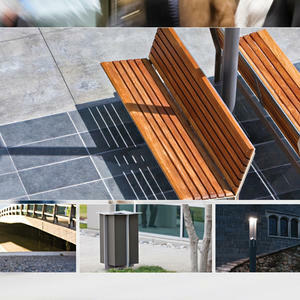 Forms+Surfaces products offer cohesive solutions for outdoor environments of all kinds. Designed to align with a variety of settings, our four product families – Tangent, Knight, Trio and Apex – allow you to choose from an integrated array of products to create a unified look across a property. While each family sports a different aesthetic, all are distinguished by their ability to perform in today’s public spaces with adaptable designs, green materials and finishes, and superior construction. Our Tangent Family offers a contemporary take on some traditional outdoor products. Tangent Rail Seating stands apart from traditional rail seating with its sleek hexagonal rail, articulating connections for easy on-site adaptability, and a breadth of material options and seating configurations. Likewise, the distinct hexagonal table top design of the Tangent Table Ensemble gives it a fresh, new angle. 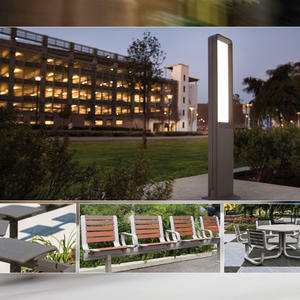 Our Tangent Bollard uses LEDs to illuminate a translucent lens, offering full-performance light output with a remarkably thin profile. With refined lines and superb detailing, our renowned Knight Family is striking in robust aluminum and FSC®-certified hardwoods. Comprised of the Knight Bench, Knight Litter Receptacle, Knight Bollard, and Knight Pedestrian Lighting, this family will seamlessly complement its surroundings. 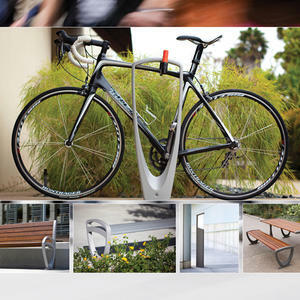 Our popular and expansive Trio Family is made up of the Trio Bench, Trio Bollard and Pedestrian Lighting, Trio Bike Rack and Trio Table Ensemble. 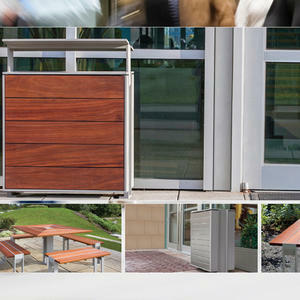 Trio products blend organic lines with durable construction and high performance materials. The crisp geometry of the Apex Family is carried throughout the Apex Bench, Apex Table Ensemble, and Apex Litter & Recycling Receptacle. This unique line is anything but square, offering a new spin on the table ensemble, as well as a choice between wood and stainless steel insets on its bold receptacle. For your next outdoor project, consider keeping your product selections all in the family with Tangent, Knight, Trio or Apex. Look for our new ads featuring our product families in the upcoming issues of Landscape Architecture and Landscape Architect & Specifier News magazines. If you are interested in any of our product families, please contact us or visit our website for more information.